Surnames, however, being legal entities, are more reliable genealogical signposts and much more easily traced. I am a Yancey. For reasons as yet undiscovered, my grandfather Jess, one of ten children, dropped the “e” in the customary spelling of his surname. What’s more perplexing is that his siblings, all nine of them, adopted the spelling, so all my nearest name relatives are Yancy. When I asked a surviving sister of his why Jess, Sr. changed the spelling, she said, “He just did!” and looked at me daring me to say something so I didn’t. because I was raised right. The Yancey family surname hails by most accounts from Wales and in this country is most often found in the southeast, where many of its most distinguished members have lived. Foremost among these is William Lowndes Yancey, U.S. Senator from Alabama, the most vociferous “fire eater” whom some credit with no less than the War Between the States itself. It just so happens that my great-great grandfather Yancey was from Alabama as well, and while my relation to the Great Secessionist is vague, Yanceys of a closer degree in relation to him joined many others who fled the despoiled post-bellum soil of the defeated Confederacy for the Amazon. 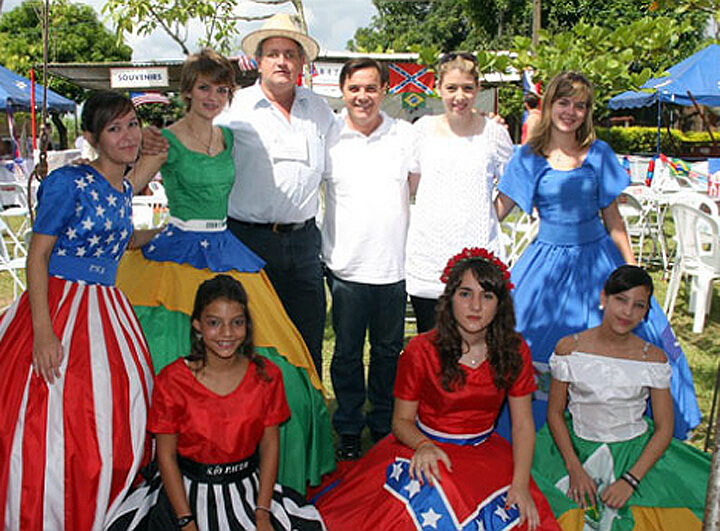 Termed “confederados”, these refugees from Yankee rule settled in Brazil where they still pay a distracted homage to the Old South more for the tourist trade than any significant degree of conviction in its ideals. Nonetheless, one of these days I’m going to hold a Yanc(e)y reunion, and I’m going to invite every damn one of them here. I can’t wait to see what kind of covered dishes they’ll bring.